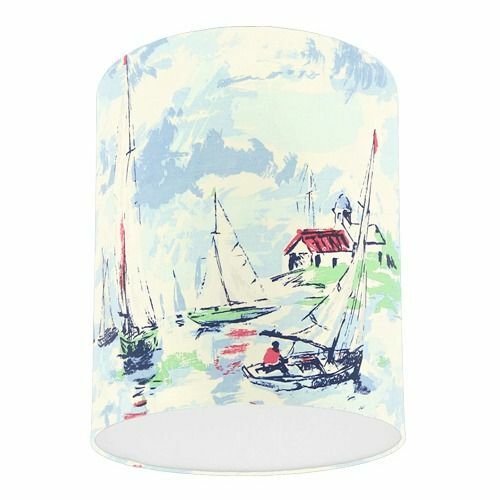 A handmade drum lampshade, made with Sanderson Sail Away Sky Blue Nautical Boat fabric, lined with white rigid flame retardant PVC, finished with a high quality rolled edge. 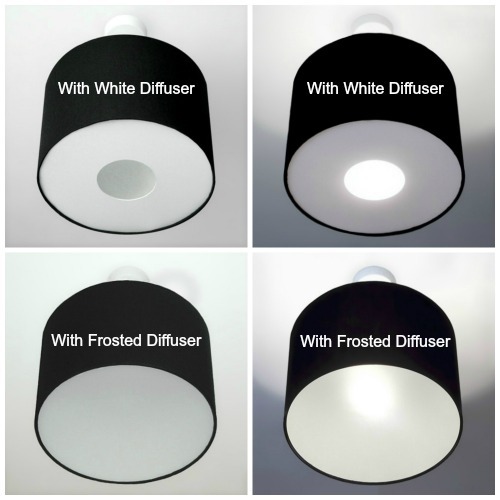 A wide selection of shade sizes available, please select from drop down box above. 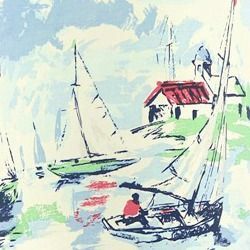 Ideal to use as a table lamp or to hang as a ceiling pendant. Each lamp shade is custom made to your specifications, so please make every effort to choose the correct size and fitting. FREE Postage & Packaging within the U.K. Please contact us for destinations outside the U.K. All our lampshades are custom made to order, please allow 5 - 10 working days for delivery. If you don't see the size or fabric you desire, please contact us. We have the entire Sanderson fabric collection available and can customise each shade according to your needs!